To say that smartphones have had a significant impact on modern-day society would be like saying that coffee plays an important role in people’s mornings. The fact is that, by 2020, it’s estimated that there will be over 6 billion smartphones in use worldwide. As ownership of these devices has become the norm, most companies have already begun optimizing their business strategies to align with and leverage the growing mobile capabilities of their end-users. Similarly, most incentive programs now incorporate some form of mobile technology into their operation. What’s not as obvious are the ways in which smartphones have augmented the participant experience. Have they triggered greater program engagement? How exactly are they being used? What value-added features do they offer to program administrators? In our last blog, we talked at length about some of the more unconventional strategies that you can use to improve engagement in your program. One tool we didn’t go into detail about—and one I’d like to talk about here—is the smartphone. Specifically, I want to highlight how the widespread use and versatility of smartphones cannot only drive engagement but can also optimize your program in a variety of ways. As we’ve previously discussed, one of the keys to program engagement is consistent and compelling messaging. Whether they’re promotional in nature (“Earn double the points this week only!”) or simply informational (“Don’t forget to redeem your points before the program end date”), these messages can both update and remind participants about what’s happening in your program. This can be done via a unique program portal that participants check from time-to-time, an app that sends push notifications (more on this in a bit), or SMS messages that participants opt into. Whatever the method, mobile-compatible communication is vital to enhanced incentive program engagement, providing personalized, targeted messaging, and greater awareness of offers and updates. With the digital revolution brought about by smartphones, the reward systems for incentive programs have similarly had to evolve. In addition to streamlining the redemption process to be faster, easier, and mobile-friendly, rewards themselves have also begun to include digital offerings such as song and movie downloads, eBooks, digital gift certificates, and more. In other words, it’s important for program rewards to always have an eye on, and keep pace with, what’s trending in mobile. All of this is designed to broaden the participant experience and make it more intuitive and accessible, because as the reward and redemption process becomes more and more user-friendly, logic says that “users” will be more and more likely to redeem and thus earn. Integral to a smooth rewards redemption process is a timely claims process. In the past, participants would have to fill out a claims sheet and physically mail it into the program management team. This was then replaced with digital claims that could be emailed, simplifying and shortening the redemption wait period. Today, with the proliferation of smartphone technology, this process has become even more efficient with claims tools that are specifically designed for mobile, and which not only make the participant experience more convenient, but can also optimize back-end processing by saving time, eliminating manual entry and approval errors, and keeping pace with changing products and SKUs. Mobile loyalty apps are all the rage these days, with everyone from retailers to sandwich shops incorporating some kind of app-based loyalty system into their online platform. But other types of incentive programs shouldn’t be far behind, as app development has become easier than ever. The integration of apps with existing program micro-sites, both of which are designed exclusively for your program community, offers a glimpse into the next generation of incentive program engagement. Particularly in group incentive travel programs, existing apps offer dynamic features like an activity feed that enables participants to share status updates and photos from the trip. Another feature allows program managers to post trip details and notifications regarding the schedule of events, arrival/departure procedures and other flight information, maps of the surrounding area, and even common expressions of local languages. 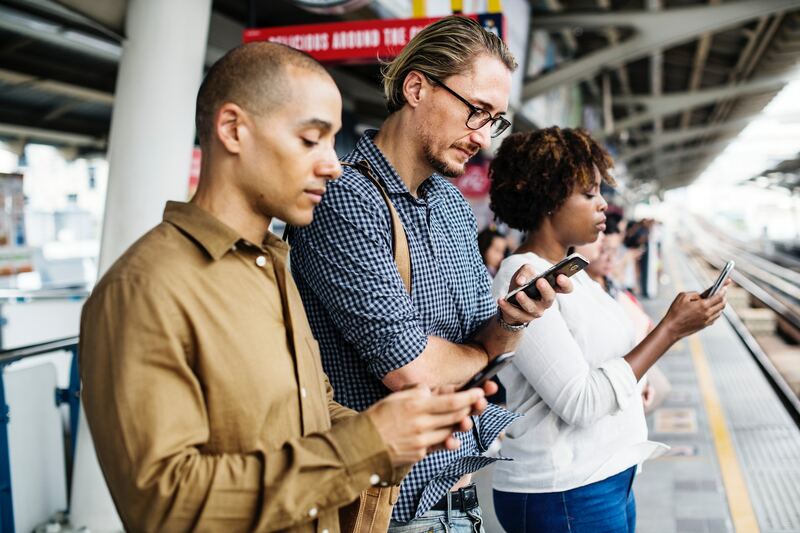 These apps can also be equipped with tools that are designed to really drive participant engagement, such as surveys and game-based scavenger hunts, all while promoting the overall brand culture. While smartphones have certainly been around for long enough that their increasing prevalence in incentive programs shouldn’t be all that surprising, what remains to be seen is how effectively companies are able to leverage this technology to improve the participant experience. Will these devices continue to be used as motivators and tools for engagement, and can program managers find ways to maximize their potential? It’s exciting to think about where mobile technology can take the incentive industry, and I, for one, can’t wait to see what program designers and innovators are able to come up with next.